While Tony Blair was in office, he avoided bringing up the subject of religion but nearly every pundit knew that he was a staunch fundamentalist christian. Before the Iraq war, Bush and Blair prayed together and Tony Blair has never denied it. I wonder if they were praying that their power does not gewt taken away regardless of them embarking on a war that will kill hundreds of thousands and makes millions homeless. If two Muslim leaders prayed together before starting a war, how would the world react? he best opinion is that like all Bible prophecy, it is a mixture of wish-fulfilment and contemporary (iron age) politics. Some of it at least seems to refer to the turmoil brought about by Alexander the Great in the fourth century BC (unlike Bush, Alexander actually conquered Afghanistan). But they have been for the last two hundred years the subject of increasingly excited evangelical fanfic, especially in America; in the 70s and 80s, Gog was meant to be Russia. Ronald Reagan seems to have believed that. "While he was at Number 10, Tony was virtually gagged on the whole question of religion," says Mr Burton. 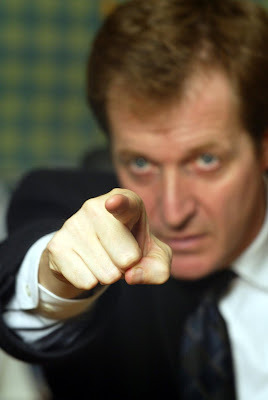 "Alastair [Campbell] was convinced it would get him into trouble with the voters. "But Tony's Christian faith is part of him, down to his cotton socks. He believed strongly at the time, that intervention in Kosovo, Sierra Leone – Iraq too – was all part of the Christian battle; good should triumph over evil, making lives better." Mr Burton, who was often described as Mr Blair's mentor, says that his religion gave him a "total belief in what's right and what's wrong", leading him to see the so-called War on Terror as "a moral cause". "I truly believe that his Christianity affected his policy-making on just about everything from aid to Africa, education, poverty, world debt and intervening in other countries when he thought it was right to do it. "The fervour was part of him and it comes back to it being Christian fervour that spurred him into action for better or worse." Mr Burton says that inherent in Mr Blair's faith was the belief that people should be treated fairly: "He applied that same principle in everything he did – from establishing the Social Exclusion Unit to ethnic cleansing in Kosovo, and ridding Iraq of the evils of Saddam Hussein's rule." It is very funny that these Christian Missionaries that come to our doors always trying to portray that Islam is a terrorist religion and Christianity is a peaceful religion. I always ask them who started the World Wars and how many people were killed. They quickly jump to 9/11 where say roughly 3000 people were killed by Terrorists. How many people has this war on Terror killed? In Afghanistan? In Iraq? In Pakistan? How many people have Israel Killed in Lebanon and Palestine? How many people did the Christian fundamentalists killed in Kosovo? It is a well known fact that Mr Blair's Cabinet included several deeply committed Christians, such as Ruth Kelly, the Education Secretary, who is a Roman Catholic, and the Chief Whip, Hilary Armstrong - but they rarely break the injunction not to mix religion and politics publicly. Now, I read the most interesting stuff which I didnt expect. Alastair Campbell said today he was inspired by the Bible when he gave evidence to the Iraq inquiry. The former spin chief, who famously told Tony Blair: "We don't do God", said that on the eve of his appearance a supporter emailed him Psalm 56. The psalm, which attacks those who "twist" the words of others, gave him comfort on a day when he was again in the media spotlight. Mr Campbell quoted it on his blog, adding: "I never detected a death plot among the British media, but the rest of it sums up the Westminster lobby to a tee." He revealed he was "amazed how many people, though they thought they know I don't do God, sent me passages from the Bible." Its good to see all these liars and fundamentalists coming out of the closet and revealing their true face. I am sure that most common people do not see the Iraq war as the war between Islam and Christianity but day by day it looks to me thats what it is.